If you are on WW (aka, “Weight Watchers Reimagined”) you surely know that in 2018 the program changed, and it’s no longer, “Weight Watchers Online.” The new WW program is called, “FreeStyle.” So, how does WW FreeStyle work, and how do the changes affect the Weight Watchers point system? Here are the highlights of WW FreeStyle, so so let’s get started. First and foremost there is now a new zero-point food list, the main groups being: veggies, fruit, boneless-skinless chicken breast, boneless-skinless turkey breast, eggs, corn, peas, non-fat unsweetened yogurt, lentils, tofu, beans, fish, and all seafood. That was an awesome surprise, so those are the main categories. When you break them down, there is over 200 zero Smart Point items. My favorite part of the program is that you can now rollover up to 4 points a day. So, if you don’t use 4 points, you get to roll those over into your weeklies now. The catch is you must track one item on any given day and be less than 4 points in order to roll those over you can roll over 1, 2, 3, or 4 less tracking all of those zero-point foods that I mentioned. *You might save even more with our top WW deals here! You don’t have to weigh, you don’t have to measure, and you don’t have to track them. That’s what makes this program the most livable and flexible program yet. Weight Watchers has kept the Smart Point system that we all know and love. Any of the foods that are not on the zero-point list such as your bread, your sweets, are still the same exact points. Because of the expanded zero smart points food list, your daily smart point budget will get adjusted. Mine was at 30 and is now down to 23, but for all now the food I can eat, it didn’t really faze me at all. They will still be those beloved blue dots that you love and have the blue dot challenge, they’ll just be a new blue dot range so your healthy eating range will be ten below to five over. So, for someone with 23 points it would be 13 smart points to 28 smartpoints. Also, if you are an online member, you can go to any meeting you like, sit in on the meeting, and stay for the program overview with the leader. After the meeting, (WW Studio) ask for the program materials and they will be happy to give them to you. WW wants everybody to feel confident and happy and ready to conquer this new program. The program materials you will get with FreeStyle are amazing. They have such good meal ideas and recipes, so I highly recommend getting yourself to a meeting and getting these program materials. So, the foods that were designated as “zero-point foods” were chosen because they really are forming the foundation of healthy eating. They are much less likely to be over-eaten. I mean, has anyone ever binged on some boneless skinless chicken breast, or some corn? I never have with these foods being zero Smart Points, you want to be mindful of your hunger and when you are satisfied. So, you want to eat until you’re satisfied, not until you’re stuffed. By the way, FreeStyle is so much better than restrictive diets like South Beach! 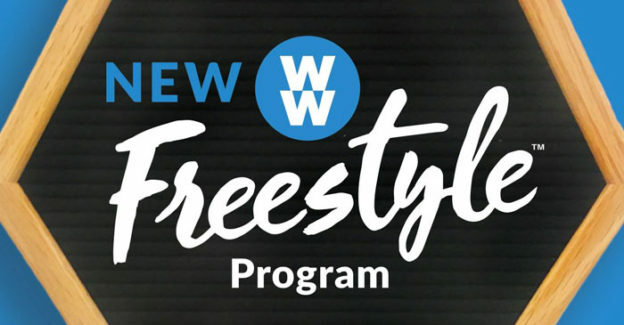 The New WW FreeStyle Program Is Better! This new FreeStyle program is scientifically-backed. The chief scientific officer, Gary Foster is an amazing man, and this has been through so much research, so many tests, and Weight Watchers would never release a program that was not equal to or better than the previous program. Let me tell you, this FreeStyle program is awesome! The FreeStyle program will increase your quality of life, you’ll get better sleep, increase your stamina, flexibility, and also you will have less food cravings. That’s because you’re eating so many filling protein-rich foods and you will feel satisfied. Why Did WW Create FreeStyle? So, why the program change? Why did Weight Watchers (WW) decide to take Smart Points, which is a fantastic program, and evolve it even more? Well, WW listens to members. Weight Watchers wanted members to be happy. WW wanted to give more flexibility, more livability, and less tracking. So, this is like the perfect marriage between not tracking and tracking. WW members wanted it to be less restrictive and to be able to personalize WW to their own liking. So, some people might want to eat their daily Smart Points some people might want to roll over their SmartPoints and use them for certain days during the week, or on the weekend. It is totally up to you. You are in control of your own WW plan. FreeStyle Can Help You Reach Your Weight Loss Goals! if you aret on the fence about joining Weight Watchers, let FreeStyle help you to reach your goals. I am confident that you can reach your goals on this FreeStyle program. like Oprah said, “if not now, when?” So join online and get to a WW meeting. You can chat online with a live WeightWatchers employee that is happy to help you, and as always in your meeting room, your leader your receptionists ask for any help that you need! Never thought I’d see the day where I felt slimmer in a jacket than workout clothes but 2019 here we are???? *You might save even more with our top WW coupons!